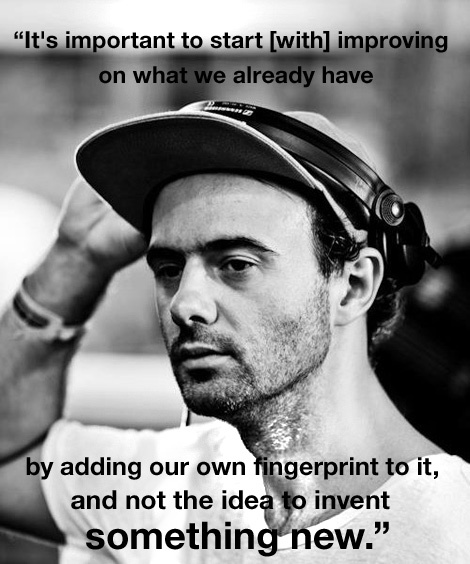 DJ, producer and composer Radu Dumitru Boidu, alias Petre Inspirescu, is a part of a vibrant electronic music scene in Romania, which has become a serious force to be reckoned with. Hailing from the country’s capital, Bucharest, Inspirescu became known for his subtle and experimental twists on house music with releases on Cadenza and [a:rpia:r], gaining a worldwide following and support from top players of the tech-house game. But in the last few years, he has been quietly merging his new found love — classical music — with the sonic toolkit of house, delving further into the depths of his own intuitive creativity. With releases solely on his own outpost Yojik ConCon under the Pi Ensemble pseudonym, by now it has become obvious Boidu has taken a radically different approach to composition, drawing inspiration from (at first glance) quite far-out corners: classical music, orchestral compositions and modular synthesis. His fabric 68 mix, comprised of completely unreleased material, is a firm indication of these hybridized directions, but we had a feeling it was not the last step in Inspirescu’s gradual shift towards composing exclusively classical material. LWE corresponded with him via email about Romania’s dance scene, his hybrid classical-house sound, and his goals for the future. In recent years, there’s been a notable wave of Romanian dance music producers experimenting with a very specific sound palette and aesthetic. Would you attribute it to certain political or socioeconomic circumstances? 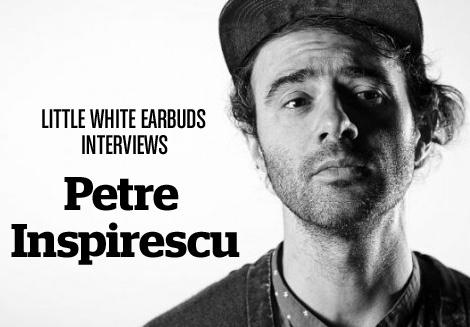 Petre Inspirescu: Yes, there’s a certain sound generated by the Romanian passion for music. I can’t say that the aesthetic itself is related with the political or socioeconomic situation, but I can say that these circumstances definitely revealed the truly passionate ones. Being restricted in some ways shaped the desire for seeking true love in music. In one interview, you mentioned epic travels to Prague for foreign dance records. Have you ever gone digging for early Romanian electronic music? How did the Romanian underground scene look like in those days? I was not aware of the existence of any Romanian producers at the time. I was very young; it was more about digging the information that came from the restricted area. But now, I can relate to some of the political and economic circumstances. The Romanian scene was obviously different as it was everywhere else then. We had to recover information about what was going on in the world. But that was not a problem — Romanians have the ability to keep up easily. At the same time, this lack of information made people more excited when they were going out, so they transformed the energy in the clubs very positively — they were more enthusiastic. You’ve spoken before about the influence classical music has had on you. How did classical music enter into your musical expression? Even if I could explain, it would take a really long time. I think the important fact is that this happened to me at all, so I can hopefully pass it to my audience, as well. But it is a matter of time if people will like it or not. You once stated that classical music is the most complex and perfect way of making music. What are the criteria of complexity in this case — is it the composing process itself, the formal limitations of it or the aesthetic value? Classical music is the art of music. To compose, you need to maintain a certain balance between the three: the physical, the conscious and the spiritual. All of them generate the magic together, not only in arts, but also in life. We don’t need to explain any processes of composition, because they are indescribable. We just need to apply these basic life rules and admire the final realization. Composer Maurice Ravel once stated he dreamed of a sustained tone, one that would far exceed the capabilities of humans and their acoustic instruments. His dreams were already partially realized during his lifetime through synthesizers. From there on, 20th century composers went on to develop different aspects of electronic music, each in their own way. What’s your attitude towards 20th century composers and their legacy? I am trying as much as possible, when I have the time, to discover new artists — at least new for me. With the development of technology, people started exploring new ways of composing music using the new machines. It seems so complicated to achieve something complex, and yet it is very simple. But we should not go far from what we feel deep inside. When composing, I think it’s important to start on improving on what we already have by adding our own fingerprint to it, and not with the idea to invent something new. We are all different and that helps us to shape things in our personal way. You’ve been working with modular systems for quite some time now. But the formal expression you chose is in the classical framework: you are writing compositions for orchestras, learning the piano, using acoustic instruments. Some might argue it’s quite a conservative approach. I really don’t mind what people think. I used the modular sounds in all my dance floor electronic productions too, since I have the system. There’s heaps of contemporary art that plays on the shocking card, but the actual question is: why are the most celebrated works of art the ones made by great classical composers? I think this is what people should be asking themselves. Similar to say, Moritz Von Oswald Trio, your Pi Ensemble presents an improvised approach to composition. Analog synthesizers are a very important factor here, as I think their instability allows something orchestras usually cannot include. Did your modular setup inspire you to apply the same chaotic rules of the synthesizer to the live orchestra? No, I don’t think that way. I first think classical and then add the electronic insertion. You would be surprised, but as certain and controlled the classical compositions seem to be, when you perform them, the music sounds different each time. Why? Because we are talking about a real energy in the electromagnetic field around you, generated by the most complex beings, humans, with natural instruments. This means life, which it can’t be reproduced by any artificial technique. And that’s why art is alive — because it challenges time. All this energy you add while composing, it materializes your inner feelings that will remain and influence the next generations. With recorded sound, it is sometimes very difficult, even for the composer, to materialize what you feel inside. The electronic machines are actually not as unstable as they seem to be, they are limited. What is not limited is our imagination. My desire is to introduce the classical forms in electronic music. I do not wish to rethink the classical composition and just improvise all the time. Do you think there is space for your classical music in current club environments? I already play classical compositions in my DJ sets and they work. Of course, to do that you have to carefully choose the compositions you will use so they can fit the electronic part. For example, with Padurea de Aur release, I intended for all the vinyl compositions to be played in the DJ sets as well: the vinyl has more extended classical sounds so they can be played over dance tracks easier. But in the end, it’s really up to each artist’s imagination and vision to decide how or if they will integrate it in their music. In the last years, there’s been a lot of (what has been perceived as) non-dance floor music entering the club culture. Do you think the club culture is going through a change? The more diverse the scene is, the more space for creativity appears. People get bored of the same information after a while and they need a change. In my opinion, it’s good to have many different options, because it helps us be more distinctive about what we like and help us reflect better on that. Classical music had an strong social function in its heyday. But in my opinion, it has lost it. How much have we lost by putting the music on phonographs? It still has a social function. Not as cohesive as before, of course, but it still exists and it is a beautiful feeling. You see, technology should be understood right. It’s meant to help us evolve, not to become enslaved by it. We can’t deny our nature. Putting the recordings on phonographs deteriorated the perception of music. It should have been explained better to the people, they should be educated about the pure experience of music, so they could still attend the concert halls. It is a physical experience performed by people with natural instruments. The way we listen to music has changed, as well. The distribution is quicker, there are huge amounts of digital formats out there, out attention span has shortened. How should we listen to music right now? I agree. This huge amount of musical information tires you and distracts you after a few hours of listening. Music should be listened carefully and in lesser quantities. Slowing down the process of listening is a safer approach, I think. Tell me something about the preparations for your Fabric mix and the decision to use only your own productions. Since I have many productions that are unreleased and maybe will never be, I decided that a mix of my classical influences in my electronic works could be a good opportunity to present them. There was no specific narrative behind it, I just wanted to reflect my feelings through music. It works very well in the clubs and spreads a gentle sensitivity around. But what I am exploring now is a matter of many lifetimes, really. Since I only have one, I will concentrate on using it for classical music. That’s more than enough.